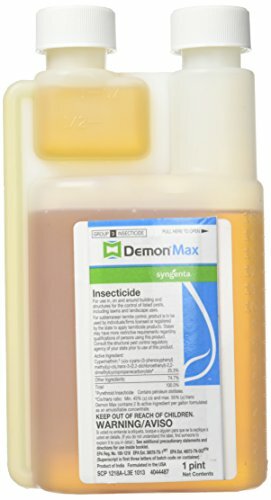 Demon WP is an excellent choice for a broad spectrum pesticide that will kill whatever insects exist around your home. It is a water-soluble powder that you mix with one gallon of water before applying. The product contains four 0.33 ounce packets, one per use. However, you can use two for severe infestations. You can use it both indoors and outdoors. The primary ingredient is cypermethrin. It is incredibly effective with up to a three-month window of residual effect. That said, it is highly toxic to honeybees and aquatic wildlife. Apply it only in areas where non-food plants grow. Also, avoid spraying it in places where that pets and children use. However, these are general precautions that apply to any pesticide. The product is easy to mix and apply. The best part is that you’ll see immediate results. And it will continue to work long after you’ve used it. Keep reading our Demon WP – Pest & Mosquito Control Insecticide 2018 review to learn more. The Demon WP Insecticide is an affordable DIY solution for ridding your home of unwanted insects. 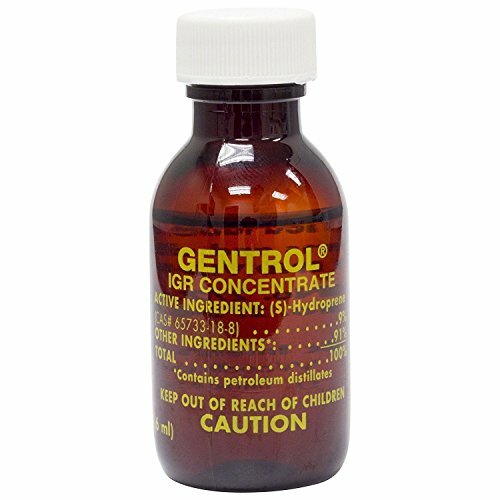 It kills pests on contact for providing immediate benefits. It also has residual effects too. That makes it a cost-effective treatment. It is an EPA-registered pesticide. The envelope contains four packets, enough for one application each. To prepare the solution, open one into a half gallon of water and mix. Let it sit for a few minutes to hydrate and dissolve completely. Next, top off the sprayer to a total of one gallon. Then, apply it where needed, taking care to avoid dark-colored surfaces, food plants, and areas that pets and children use. You can use it as a general surface spray or as a spot treatment in cracks and crevices. The product leaves a white powdery residue when dry. You can sweep it away or let it remain for continued pest control. You can re-apply weekly it if you have a severe insect problem. The value of this insecticide lies in its residual effects. They can last up to three months. 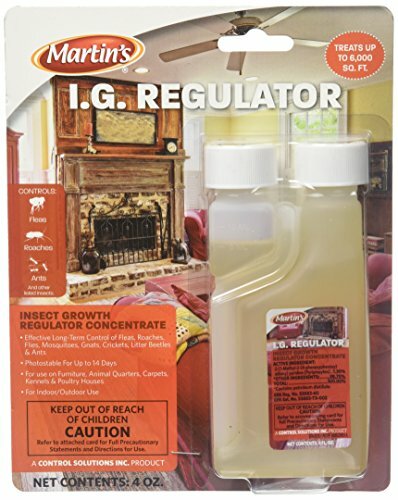 You can re-apply weekly it if you have a severe insect problem. Cypermethrin breaks down slowly in the environment, particularly in the soil. That allows it to continue to manage the problem. Demon WP is a broad-spectrum pesticide. That means it will kill a wide variety of insects from ants to roaches to wasps. Bear in mind that it is toxic to non-targeted species too such as fish, invertebrates, and even honeybees. Caution is necessary for any pesticide since misuse or accidental contact can cause skin irritation. We recommend that you read the label completely before applying it. It’s worth mentioning that the manufacturer cannot sell it to customers in New York or Connecticut. One treatment went a long way. We were especially pleased that it eliminated box elder bugs too. It even controlled mosquitoes. You can use this product in your home too because it is odorless, a pleasant surprise given what it is. That makes it an even better value as a single solution for all your pest problems. The same precautions for general use apply as well. We found Demon WP highly effective at killing bugs both indoors and outdoors. The powder dissolved quickly in the water. The gallon size allowed us to treat a large area in the yard and our home. One treatment went a long way. We were especially pleased that it eliminated box elder bugs too. It even controlled mosquitoes. As we later learned, this particular class of insecticides is an alternative for controlling these pests to the now-banned DDT. One application handled the job completely. We are confident that it will do the same for you. The residue is noticeable. We strongly advise you to follow the manufacturer’s recommendations regarding where to spray it. Clean-up was simple with no long-lasting effects. The fact that it is an EPA-approved product is also reassuring, especially given how well it performed. Its low price tag and impressive residual effects are an excellent value that makes it a worthwhile purchase. The label spells out the correct usage clearly and straightforward, making it safe to use as directed. We also liked it that Demon WP works against many kinds of insects which adds another point in its favor.